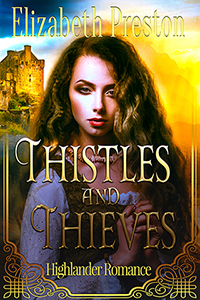 Yey, my second highlander romance is out today on Amazon. This is book two in the ‘Troublesome Sister Series.’ This one is set in the medieval year of 1245. Lady Juliette is sent to the Scottish Highlands on a two hundred day charity mission. Along the way she gets shipwrecked. Luckily, Juliette is one tough Sassenach lass. English Juliette is sent to the Scottish Highlands on a charity visit, a mission that’s to last two hundred days. Her job is to pull a valuable warlord out of his black hole. The king wants Laird Tam out of the doldrums and back doing what he does best: killing in the name of Scotland. Juliette reluctantly agrees to the King’s task, because she has no choice. Lady Juliette is sweet, sassy and determined, but also a little spoilt. She knows she’ll cope with the bleak north, the boredom and the barbarous Scotsmen, but when these two hundred days are done, she’s bolting back to England as quickly as her silk slippers will take her. Juliette underestimates the Scottish Highlands. She greatly underestimates Laird Tam. And there’s something else she doesn’t realise: the Highlands are never boring. . .
Now Lady Juliette must survive the sea, the Irish outlaws, runaway nuns and the ancient Caledonian Forest. Not to mention her growing attraction to Laird Tam. . .
My Highlander release is out on Amazon today-yahoo! 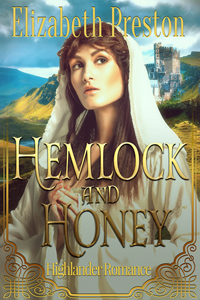 My book is called Hemlock And Honey and is set in medieval Scotland in 1244. This was a time when superstition and curses ruled peoples lives; it was their way of explaining the unexplainable. In Hemlock and Honey, the folk of Caithness Castle are ravaged by illness. They are suffering from a type of fungal crop poisoning called Ergotism. A few hundred years on, and the resulting illness has a new name-St Anthony’s Fire. Every now and then, somewhere in the world, ergot poisoning sneaks into our bread production, and cases of St Anthony’s Fire are reported. Here’s the cover and the blurb. Hope you enjoy my book. A great sickness is striking down the Highland folk of Caithness Castle. They are dying from ergot poisoning, from eating infected crops. But this is the year 1244, and almost no one has heard of this condition, a disease later called, St Anthony’s Fire. Desperate to save his clan, Laird Gus turns to a soothsayer for answers. The mystic tells him to hunt down and capture a special Sassenach lady. He must find a young woman with God given healing gifts. Laird Gus tracks down Lady Sybilla and kidnaps her. Only trouble is, she keeps insisting that she has no magical abilities, nor healing skills of any sort. She’s not even clever with herbs. He has captured the wrong girl. English Lady Sybilla might not have the ability to break curses and cure a castle of folk, but she is clever. And cleverness turns out to be exactly what he needs. I’ve been drooling over my baby figs for months now. My small fig tree is usually a great little producer. I get more than a dozen juicy fat black figs from my meter high tree. So, when the figs suddenly swelled and softened in the hot sun, my greedy fingers plucked the babies from the vine and rushed for the chilled white wine. I ripped the first one open and was just about to take a bite. But something was horribly wrong. Every one of my figs were brown and wizened inside. If anyone knows what happened, please let me know. I suspect fruit flies. I’ll take my revenge on the flies next year, no holds barred. Something else happened yesterday too. I was inside my vegetable cage harvesting yellow tomatoes when I felt something itch my leg. That’s not unusual for me. I’m a magnet for all forms of mosquitoes and biting insects. So I brushed my hand over my leg and carried on. But the tickle didn’t go away. I looked down and saw a giant black hairy Huntsman spider above my knee, heading for the leg opening of my shorts.It was a seriously yuk moment. I do not have a spider phobia and I also know that Huntsmen are not poisonous but I draw the line at letting them crawl up the leg of my shorts. Why is everything in the country so large? And, when I wasn’t painting or cleaning or spending an endless about of hours in my new over-sized garden, I wrote my third book. Debby at Soul Mate Publishing has accepted it already; release date is set for some time around June. Book three is a Highlander romance set in 1244, but I ‘ll talk about that later. From now on, nearly all of my blog posts are going to be about my new life in the country. Tomorrow, I’ll tell you about my figs. My second book is out already, can’t believe it! Where did the months go? Well, actually it’s up for pre-order now and available on August 19. I Will Not Run is a tense suspenseful read with big dollops of romance. You can read the blurb on the Amazon page if you’re interested. I had such fun writing scary. I love a good sale, who doesn’t. My book is now only 99c for a short while. Best of all, my sale is just in time for the Thanksgiving holiday. Reading, eating, family and friends and most importantly, time off work – could it get any better? 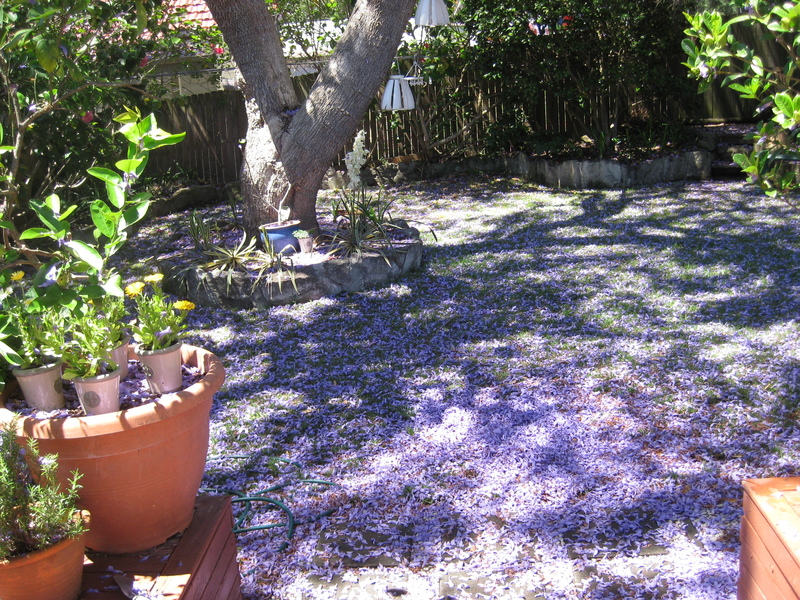 Okay, maybe it isn’t snow, but the jacaranda flowers really are blanketing everything. Each morning I wake up and look out and my back garden has a fresh coating of purple. It’s enchanting in a Disney movie kind of way. 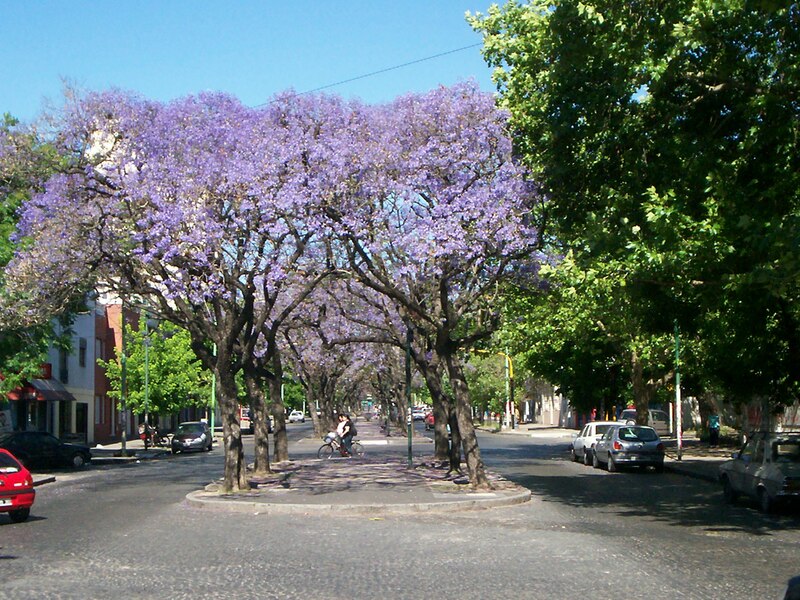 There’s a local legend about Sydney’s prolific jacaranda trees. Apparently many years ago, hospitals on the north shore of Sydney used to hand out jacaranda saplings to new mothers. The mothers would plant the baby trees in their backyards and watch their trees and children grow up together. And, according to this legend, that’s why Sydney’s north shore is coated in purple right now.